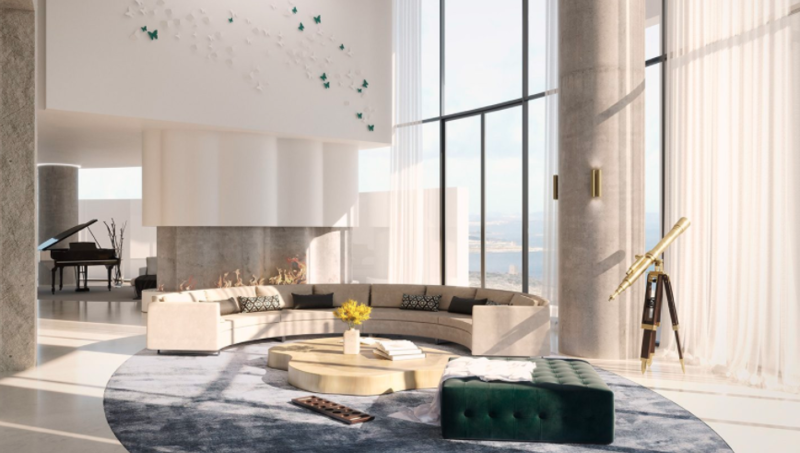 The future of the property marketing suite — the show apartment to you and me — will be a 'sensory space' with virtual reality, temperature changes, artificial smell, accurate textures and spatially mapped sounds. That is the prediction of the Byrne brothers, co-founders of VMI Studio, a computer-generated imaging company based in South-West London. 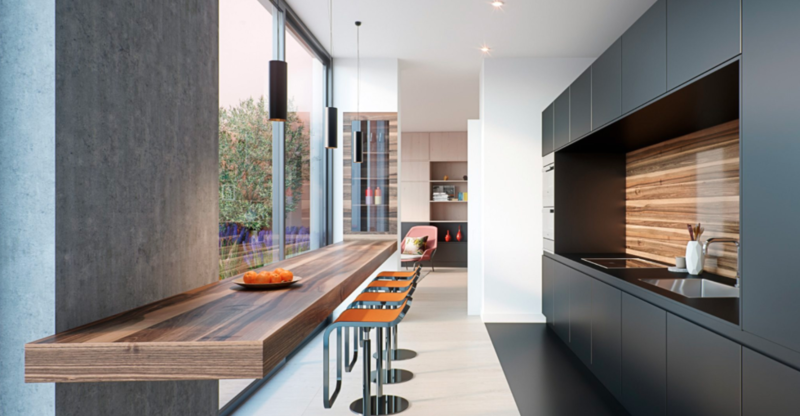 The pair use the Unreal video game engine to produce stunningly lifelike renders of luxury apartments yet to be built. But while these images, which can take weeks or even months to create, are hugely impressive, VMI's party trick is how they can turn these renders into a virtual reality (VR) experience. 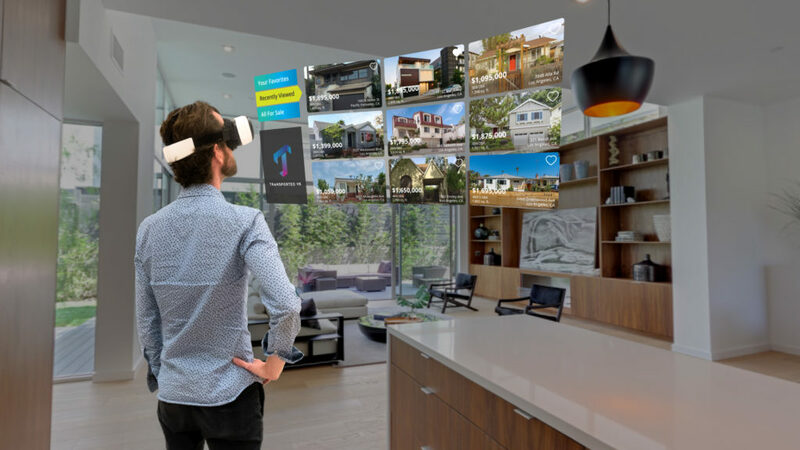 Anyone interesting in buying an apartment, perhaps even before the show flat is built, can put on a VR headset, take hold of a game controller, and walk around the property as if they are actually there. Building such VR environments takes a long time. Nicholas Byrne described spending weeks on a single CGI image as "very quick," adding that months-per-image is a more accurate timescale. The detail is simply staggering. When I ask if a bookshelf in one apartment is made from photographs of the real thing, the brothers both quickly say no, before Nicholas explains how each book is an individually-constructed 3D model. But such attention to detail pays off, as people who visit a show apartment with an interest to buy spend far longer looking at the rooms through VR than when they flick through a brochure or look at a scale model. Fergus Byrne says: "People spend a lot longer looking [with VR]. With a brochure you get people looking for five seconds, but in this you get people playing for half an hour." Capturing and maintaining a potential buyer's attention is key, especially when the properties VMI Studio works with can sell for millions of dollars. One such development, where the former BBC headquarters, Television Centre, is being turned into luxury apartments, hired VMI Studio to turn four different styles of apartment (created by four different architects, a quirk of the development) into four VR experiences for buyers to explore. Fergus says: "They'd sold a lot of the one- and two-bedroom apartments but were struggling to sell their more premium offerings, the ones listed for £3.5m ($2.5m). They wanted to give customers at that price point extra vision for the scheme...to show the USP of each architect, because even to the discerning customer the differences perhaps aren't common knowledge. They had CGIs and the normal ways of showing buyers around [brochures, models, animated 'flyovers'] but wanted something more...something that would help push [a sale] across the line." While computer-made images of upcoming buildings and digitized 'flyovers,' where a virtual camera sweeps through a computer rendering as if on a low-flying drone, have been used by property developers for years, VR is seen as a game changer. Customers can explore the area at their own pace, looking wherever they like and getting up close with the smallest details in a way not previously possible. The wealthiest of buyers can ask to have their own furniture and art collections added to the VR rooms, to make sure everything fits and looks just so. Even before they sample the VR, potential buyers are intrigued. When I first met VMI Studio in the marketing suite of a London apartment block in 2016, to see what was at the time their first foray into VR, the receptionist's phone rang. When told the show apartment wasn't ready yet, the caller was about to hang up, but quickly changed their mind when offered the chance to experience it in VR instead. They booked a viewing right away. Two years on, and the interest in VR is still strong. The technology may not have set the gaming world on fire like many had hoped, but for practical applications like this, it's a no-brainer. The lighting created by VMI Studio's latest creations is simply gorgeous; it reacts dynamically as you approach shiny objects and can be adjusted so potential buyers get to see how shadows shift through the property each day. Clouds pass by overhead and spatially-mapped sounds mean the noise of running water can be heard when walking past the virtual bathroom, or the sound of a nearby airport flightpath can be added above the balcony. I ask Nicholas to show me an imperfection in one of VMI's images, a tell-tale sign that this is a render and not a real photograph. He looks around his computer screen, zooms in closely, pans around for a while then finally spots a small blemish in the way a shadow is cast where a wall meets the ceiling. As anyone who has used a VR headset will know, the resolution on offer isn't a match for a regular television viewed from across the room, let alone a PC monitor just a few inches away. But this will change. The brothers told me of their excitement for the recently announced HTC Vive Pro, which has a resolution 78 percent higher than the regular Vive, meaning more pixels to show off their renders. Even higher VR resolutions are coming soon, offering a 4K display for each eye and a wider field of view. "There's so much more you can do," Fergus says, explaining how the property industry is often slow to adopt new technologies like those of VMI. "Normally when you say to a developer we do the whole thing in VR, they say 'oh it's going to look like The Sims, isn't it? '...Unfortunately, I think sometimes in this [property] sector there's a bit of nerves around doing something that's different." Although these photorealistic virtual properties can be loaded onto a smartphone and navigated with a pair of on-screen virtual joysticks — again, like a video game — the Byrne brothers believe the future is in taking VR to the next level by adding touch and smell to their renderings. A full-size model of an apartment could be built to the exact dimensions of a VR experience. Potential buyers would then be given VR headsets and computers in backpacks (making the system completely wireless), before walking around the real and virtual world at the same time. This way, they can still reach out and touch the kitchen counter, but then the entire decor could be changed in VR to give the same layout a completely new look. On top of this, VMI wants to add elements of smell (maple syrup on bacon, suggests Fergus), and temperature, where a well-placed heater in the real world can mimic the log burner seen in VR. "We've started to explore more sensory reality," Fergus says. "Experiences around smells and sounds. 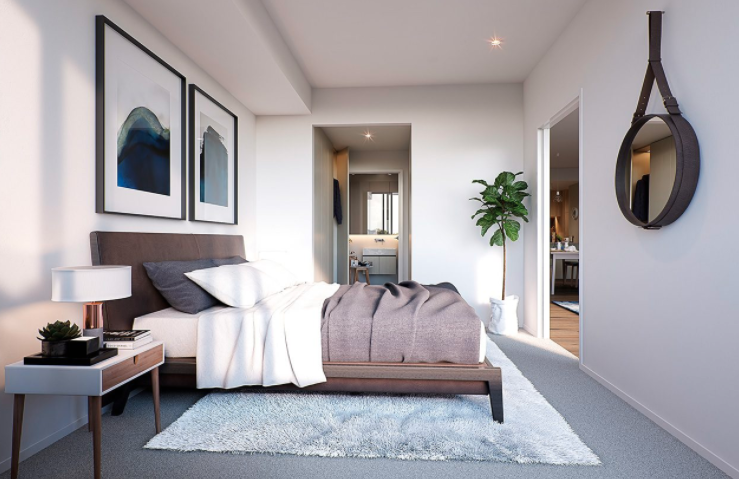 We believe the future of the property marketing suite will be sensory spaces that you can go into...something where you don't just walk around and see the apartment, you smell it." He adds: "It's all about giving the customer more and getting them interested in the product. Visuals are great, copy is great, brochures and all those other things are great - but if you can give the client a little bit more, it's a clincher."